We have some important news to share with you. As some of you know, the owners of the Red Hot Rhythm HQ building have been trying to sell for some years now (with several crashed contracts along the way). Late last week, we found out that the sale will be going ahead, with settlement taking place mid-August 2015. We have also been informed that our studio building will be demolished soon after. While we genuinely thought we’d have a bit longer in our studio, we were aware that this was a possibility. It’s going to be tough losing our little home, but we’ve had a great run in the space and are grateful for the time we’ve had there. Obviously, this has faced us a rather difficult decision to make. We have been researching alternate venues for some time now, but unfortunately the cost of leasing and re-fitting out another space is not one we can justify. We have thought long and hard about it, and decided – with some sadness – to close down Red Hot Rhythm classes. We’ve got 3 weeks…let’s enjoy them. 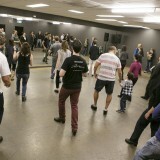 The last 3 weeks of Red Hot Rhythm classes will take place between 13th of July – 28th of July. We invite all our past and present students to come along for these classes, which (never say never, but in all likelihood) will be the last in the Red Hot Rhythm journey. Being special circumstances, we’re going to up the room allocation to 20 instead of 15. Please only register if you’re going to come along, as these classes will most likely fill quickly, and we don’t want anyone to unnecessarily miss out. Then, to finish off, we’re going to have a goodbye gathering on Friday the 31st of July at the studio, starting 6:30pm. Free to all friends and students of RHR, with a special performance from some of the Rhythm Junkies cast. BYO drinkies, and if everyone could bring a little plate of nibbles, it would be greatly appreciated. Students with valid class credits (including those registered for the upcoming Introductory Course) will have these amounts refunded in the first week of August (please let us know if you require this sooner). Over the last year, I’ve been working crazily to develop a new tap dance video resource. It has turned into a huge undertaking, but one that I’m very excited to share with you soon. I’ll keep you posted! I look back on the last 8 years since beginning Red Hot Rhythm as a wonderfully fulfilling experience. I am proud of everything I’ve achieved, and feel I have stayed true to my vision of providing a hub/learning space exclusively for tap dancers. I have learned so much along the way and have gained both business and personal skills that will stay with me throughout my life. It has been a privilege to work with wonderful humans of all ages, and to share this art form with them. However, I honestly feel that – studio demolished or not – the time has come to turn my primary focus away from Red Hot Rhythm. I feel I have accomplished everything I set out to with this venture, and I’m damn chuffed. While in some ways I am sad that this path must come to an end and will always look back on it fondly, I am overwhelmingly excited to explore a new, very different path moving forward. What is this path? I’ll show you…very soon. There’s no escaping the fact that tap dance is part of me. I am certain my feet will itch again – the type of itching only curable by bashing said feet into the floor. When the time comes, I’ll look forward to tapping with you again, should you be experiencing similar itching. 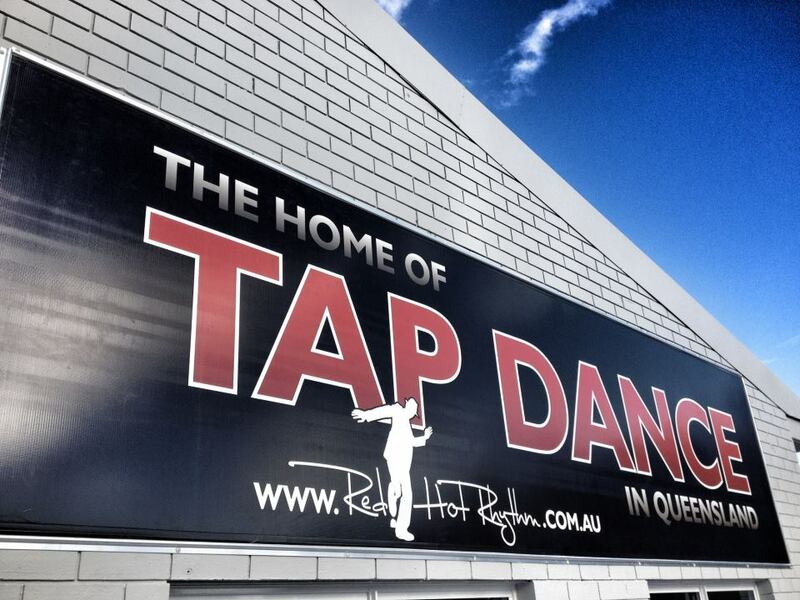 There are a few tap classes around Brisbane that I’m aware of. 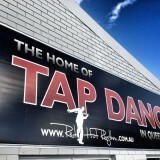 However, if anyone has found alternate tap classes they have enjoyed, please let me know! I’d like to make some good recommendations for those wishing to continue the journey. It’s too soon for emotional goodbyes just yet…but I want you to know I’ve had so much fun and have made some wonderful friends over my years as a tap dance teacher. I hope, in some small way, that these classes made a positive difference in your life, and genuinely hope to stay in touch into the future. I’d love to hear what classes have meant to you. Post a comment below, or drop me an email at bsimpson@redhotrhythm.com.au. Come along to the last 3 weeks of classes if you can, and let’s have a drink together on the 31st of July. All the very best Bill. My kids really enjoyed your tap classes (it’s been a couple of years). I look forward to hearing about your new venture. Best Regards, Maryanne, Luca and Sophie. I will really miss you, Bernie and the classes! You have been such an enthusiastic supportive warm and talented teacher! It has been wonderful to come to class. Yours are big feet to fill!